To many time I hear people using different quotes that they hear off of a television show or a movie they really like. I will post up a list of different movie quotes that you often hear. Quotes from movies are used all the time by fans of certain movies. Some movie quotes are so popular that millions of people know them weather they have actually seen the movie or not. In 1939 there was a little movie called Gone With The Wind. The lead role was played Clark Gable (character name Rhett Butler). This was one of Clark's most remembered roles especially his line "Frankly, my dear i don't give a damn". This is still on of the most used movie quotes of all time even 72 years after the movie was originally released. In 1972 there was a movie called The God Father. Marlon Brando played a character name Don Vito Corleone. He was quoted saying "I'm going to make him as offer he cant refuse". People often use this movie quote jokingly with an Italian accent. In 1983 Sudden Impact was released. It starred Clint Eastwood who played Harry Callahan his famous quote was "Go ahead, make my day". In 1976 there was a movie called Taxi Driver Robert Dinero played a character Travis Bickle. This characters famous movie quote was "You Talkin To Me". In 1979 there the movie Apocalypse Now came out. The main character was played by Robert Duvall hi name was Lt. Col Bill Kilgore. Kilgores famous quote was "I love the smell of Napalm in the morning". This is still quoted by people all over the world. There was a movie in 1970 called Love Story and the actress was Ali MacGaw she played Jennifer Cavvilleri Barrett. These characters quote was "Love means never having to say you are sorry". In 1992 there was a movie called A Few Good Men and the lead role was Jack Nicholson. he played Col. Nathan R. Jessep. Col. Jessep's famous quote is "You want the truth? You cant handle the truth". In 1999 The Sixth Sense was a top movie. The actor was a young Haley Joel Osmend he played Cole Sear his quote was "I see dead people". In 1939 one of the biggest movies of all time was releases. The Wizard of Oz. It starred Judy Garland who played the lead Dorothy Gale. Amongst many other now infamous quotes one of my favorites was "Toto I have got a feeling we are not in Kansas anymore". People still say this whenever they get into a situation that is new or different to them. In 1987 there was a movie called Dirty Dancing the actor was Patrick Swayze. He played Johnny Castle. Johnny was quoted saying "Nobody puts Baby in a corner". There was a movie in 1989 called Dead Poet Society and the actor was Robin Williams he played John Keating. His characters famous quote was "Carpe Diem. Seize the day,boys. Make your lives extraordinary"
These are just a few of the thousands of movie quotes that you hear on a daily basis. No matter where you go there is bound to be someone, somewhere quoting a movie that they love dearly. 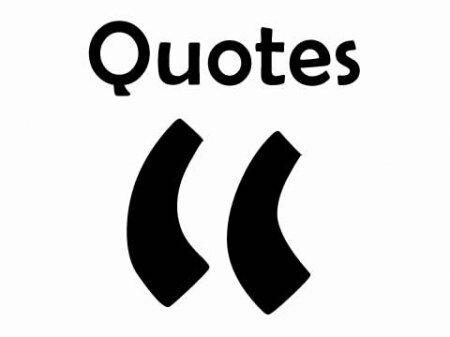 Share a link to a page on Famous Movie Quotes and we will consider it for placement on this page.